Need something a little snacky? How about sampling one pie & then eating another? Our suggested appetizer pizzas are the perfect aCompanyment. Piccolo size only. Bordering Mexico & Italy! 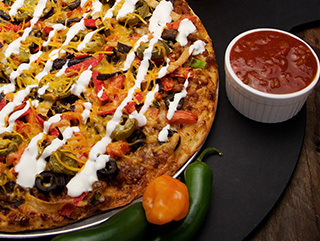 Our zippy chipotle sauce, refried black beans, salsa, fiesta beef, monterey jack & cheddar cheeses, chips, tomatoes, black olives, green onions, jalapeños, topped with sour cream & all piled high. This was a borderline made to be crossed! 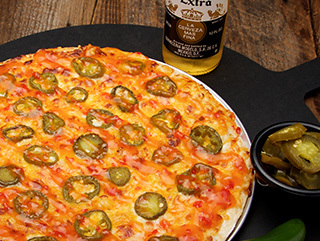 Mas jalapeños on a bed of Philly cream cheese, some cheddar & mozzarella & all topped with our sweet chili sauce!! It’s like going to jalapeño heaven! Taxi’d straight from Buffalo, NY, that amazing sauce, that incredible heat! 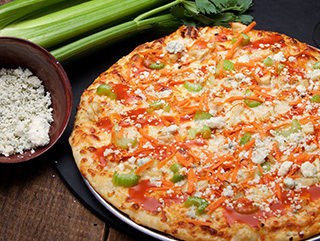 Chicken, julienne carrots & sweet celery, cranked up with our own hot Buffalo wings sauce & topped with tangy gorgonzola cheese. A big Buffalo taste; spicy Company style. 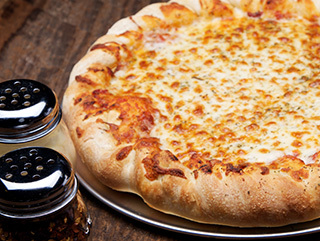 Nana’s favorite, our home-style marinara, extra mozzarella & our special Italian herbs. 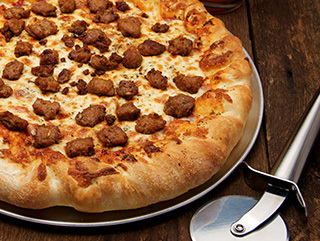 Grandpa’s fav… Nana & spicy Italian love, er, uh, sausage, with our home-style red, Italian herbs & extra mozzarella. 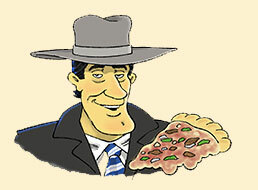 Or ask for it Mild with our milder Italian sausage and no herbs. Named after the Pettine’s first stop, & home, off the ship. It’s the Nana (extra mozzarella & Italian herbs on red) with smoky pepperoni. 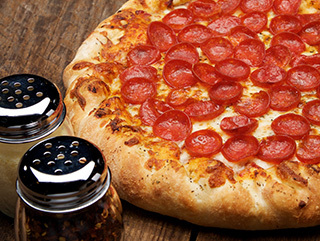 Or ask for it Breezy with our milder traditional pepperoni and no herbs. * These are actual photos of our gourmet artisan fare. Baking and serving can require recipe variations for your best taste experience.